Abnormal movement of a spinal segment can be associated with lower back pain. Either too much or too little movement of an isolated intervertebral segment can be a major component of lower back pain. Constant irritation of the surrounding soft tissue as a result of isolated segmental hypermobility or possible structural lumbar instability. Correction of spinal segments with restricted joint movement is a major part of the treatment program. The clinical teams of Chiropractor and Physiotherapist that brought you this blog (Chiropractic-in-Malaysia) are among the best in the country. They have a very methodical method of manual and trigger point therapy systems that others do not do. As a result, you get better faster. Learn more about trigger point therapy as performed by clinical physiotherapists in Malaysia. Trigger points are specific sensitive pain-producing points located in tight muscles or fascias that can refer pain to other areas. Trigger points associated with lower back pain are commonly found in quadratus lumborum, erector spinae, gluteal and piriformis muscle. Trigger points may or may not be the initial problem however these can cause significant pain in patients with lower back conditions. The pain resulted from active trigger points with associated muscle spasm or tightness can further aggravate the abnormalities in the underlying joints. Therefore, the resultant pain from trigger points and muscle tightness must be addressed and treated properly. In an acute low back pain case, abnormalities of the joints are more likely to be the major source of pain. In a chronic low back pain case, muscular and neural abnormalities must be taken into consideration. These components should be treated and re-assessment should be performed from time to time to evaluate the effectiveness of the treatments. 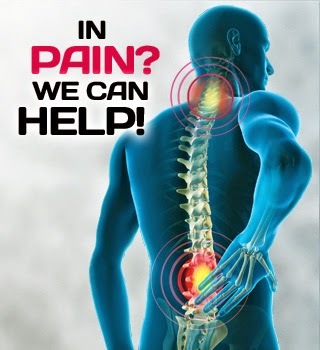 For more information about our back pain treatment center or inquiries, please contact us at 03-2093 1000.